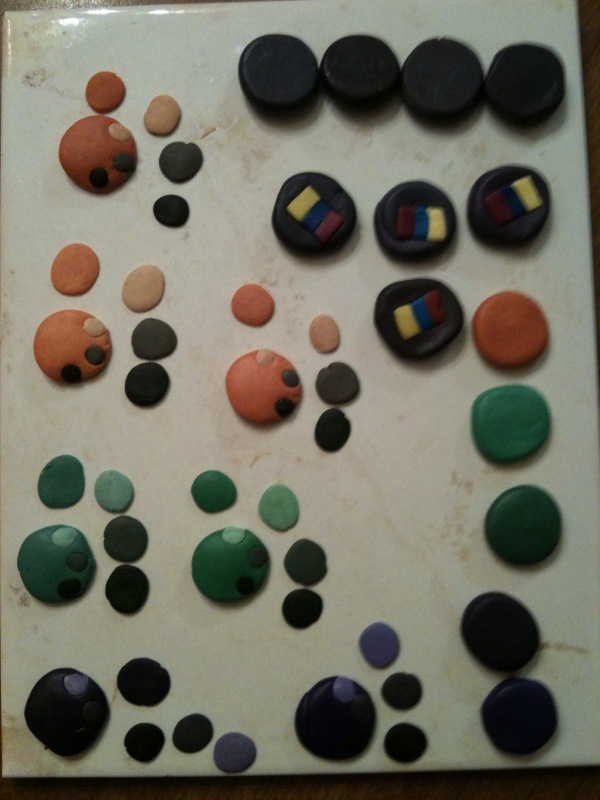 I keep focusing on the move to Kato and color mixing by following the exercises in the color inspirations book. 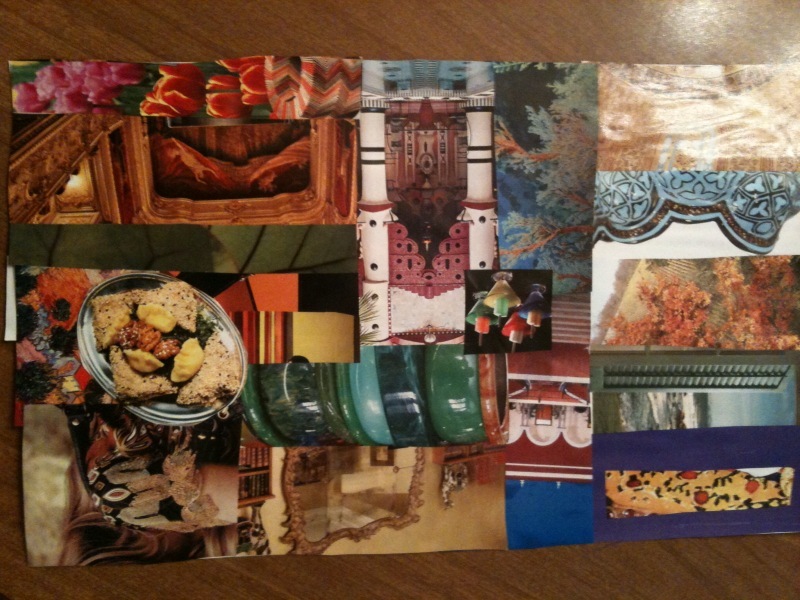 This week it was about making my color inspirations collage. The biggest setback for me in this came while gathering images for the project. I somehow thought I needed pictures with no white in them not pictures with no white boarders as it clearly states in the book that I must have read and re read 100 times. I kept trying to find images with no large white areas and kept cussing and saying to myself “well this is a book about color of course they do not want you to focus on white Julie it is all about the colors”. Once I corrected this error this exercise was fun and enlightening. 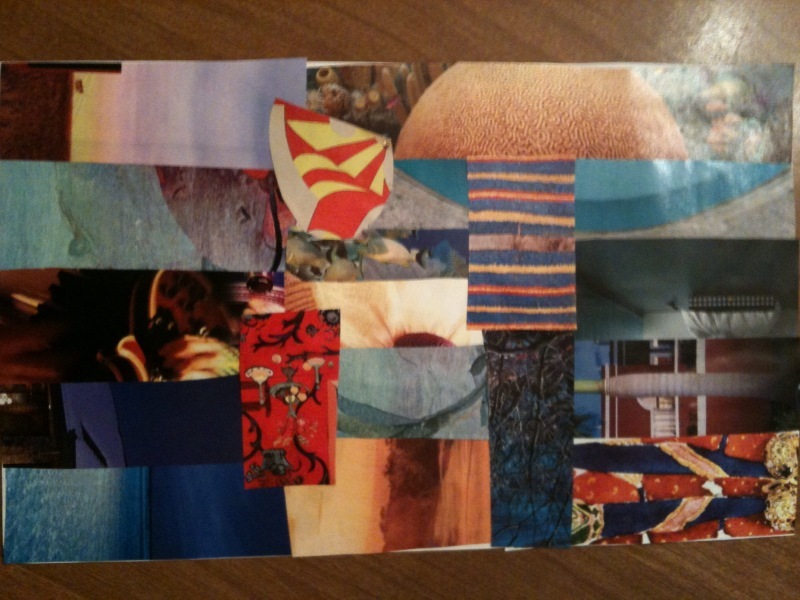 Here is my first collage……. Since it stated in the book I needed a collage with yellow, red and blue to base the rest of the exercises in the book I made one then thought well if I am basing all the rest of the exercises in the book after this collage I should make one that shows colors I like regardless of where they fall in the color scheme of things. So I made another collage based on my favorite colors only. They look soooo similar could it be that these are my favorite and influential colors all in one? Not looking forward to the tasting tiles exercise but I finally have confirmation and the order from Munroes shipped so I will have the missing primaries to do this…..I can do this…..I know I can. This was my post for last week and I went ahead and mixed the tasting tiles and was not impressed at my results. I do not know if it is my lack of knowledge with colors and mixing but I tried to get the closest color in Kato that the exercise called for and the mixes turned out so similar that I tried to get some variation by adding samples mixed with white, silver, and black. Being so disappointed and sick of mixing I then tried the Pinched Petal Necklace and was impressed at the color flow throughout. I know hubby and son were impressed because son’s remark was fresh and hubby’s was that turned out real nice. He then tried to rearrange the way the petals laid, and gave me suggestions on how to make them lay next time I make it. Oh I love him so especially when he likes what I create. Back to mixing and will be posting pictures of the Holiday Swap 2010 either Friday or next year lol. Please enjoy time with family and friends and realize it is not what is under the tree but what is in your heart every day of the year. 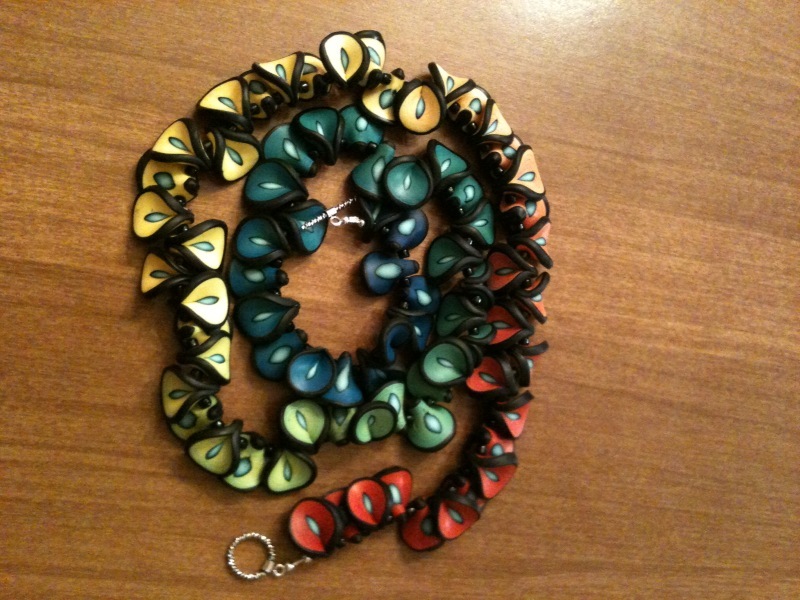 This entry was posted on December 22, 2010 at 1:56 AM and is filed under color mixing, inspiration, kato clay, polymer clay. You can follow any responses to this entry through the RSS 2.0 feed. You can leave a response, or trackback from your own site.